Academy Tennis - focussed training for players that want to achieve, compete and succeed. 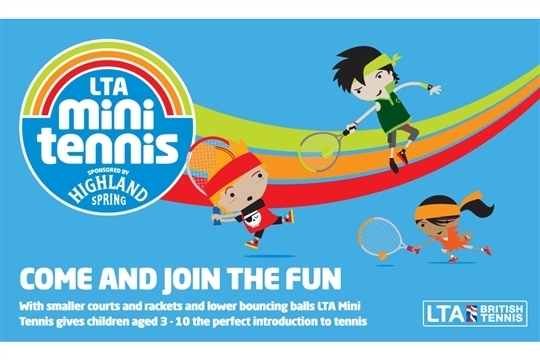 Children between three and ten years old can now get stuck into the world of tennis with an exciting programme from the LTA, delievred throughout out Tennis Schools. We also deliver the Mini Tennis Rally Awards scheme, designed to help mini players learn in stages and take part in exciting exercises with regular rewards which encourage them to develop their tennis skills at a pace that suits them. Our junior programmes caters for all levels of ability. From those children who want to play tennis to keep fit, make friends and have fun, to those who have aspirations to become the next Andy Murray or Laura Robson, or want to use tennis as a vehicle for furthering their education. Academy Tennis - Maximise your strengths, minimise your weaknesses. In addition to our mainstream junior coaching programmes, we run a successful Academy section for tennis players that want to achieve, compete and succeed. We are passionate professionals that truly believe that improving all training disciplines is required for a player to excel and reach their maximum potential. The Academy training program is personalised and tailored to the characteristics of each player. The programme focusses on each player by creating an innovative customised training programme that will fit their training needs. Our academy programme provides each player with a fun, inspiring and positive environment that at the same time infuses values of hard work, dedication, and self-discipline. Our goal is not only to create elite tennis players, but also to shape our academy players to be great all round people. Our Holiday Camps offer a combination of professional coaching, fun games/activities and tennis competition for players of all ages and standards during school holidays. Our philosophy of coaching is designed to maximise the strengths of each individual, helping players become the very best they can be. We create the optimal environment to challenge players at any level of play, whether they want to be the next Roger Federer, looking to try out tennis for the first time, or looking for a fun filled time on court. Our focus is to provide a holiday camp experience that is safe with highly stimulating activities delivered by positive inspiring coaches. We then mix it all together with a large dose of fun, ensuring that players passion for tennis blossoms. Our camps all follow the LTA junior award scheme, concentrating on player development in a fun and friendly environment. We have two types of camps: Our Mini Camps are for players aged 5 – 10 years old and our Junior Camps are for players aged 11 – 15 years old. Our normal camp format is a one-day camps run from 9am to 11:30am or 11:30am to 1pm, offering a combination of technical/tactical coaching and competition. It is recommended to book your place early as our holiday camps are always over subscribed! To make a booking please click here.